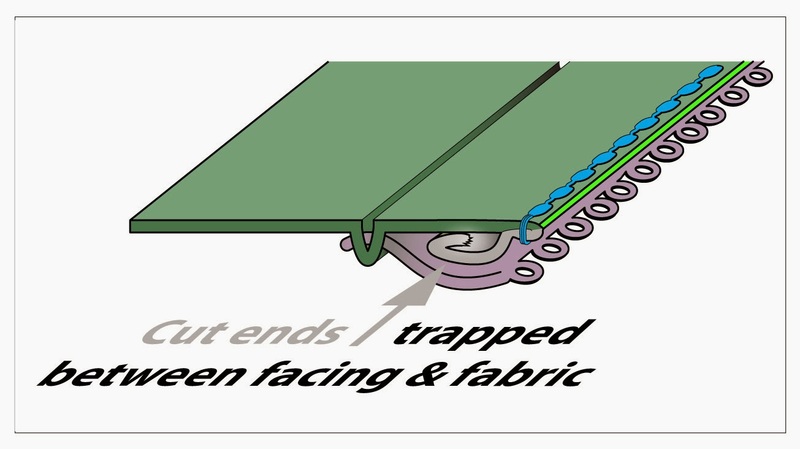 This post is the first in a series, showing a new way of creating and facing a steek to secure the edges and hide the cut ends. Because it's new, it hasn't been time-tested. 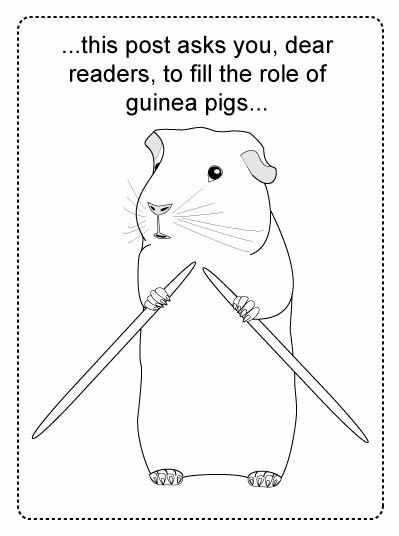 However, at a recent teaching event the participants indicated real interest, so I'm writing it up. If you choose to try this trick, heads up! 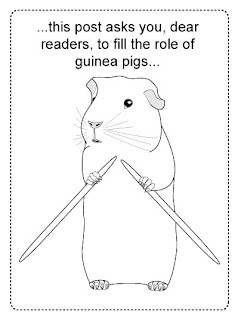 You're a guinea pig in the real-life test lab of knitting. I believe it will work. I'm pretty sure it won't come out. 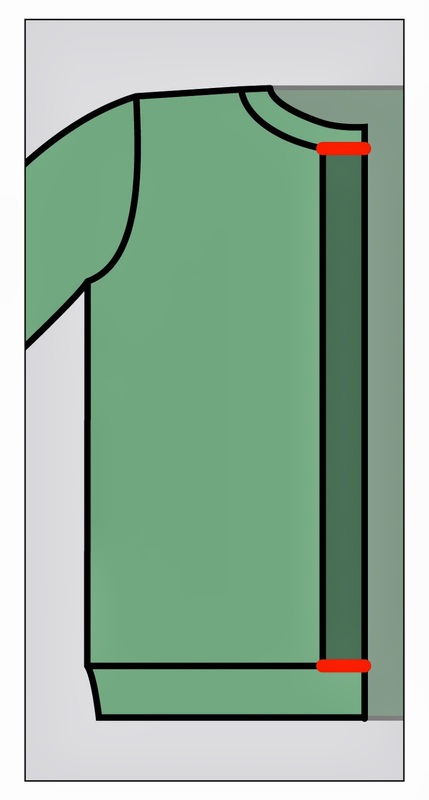 Further, it's less bulky than many other methods for hiding a cut edge. Yet, I want to stress one more time that, unlike most tricks on this blog, this one is a beta version (beta=testing version). If I haven't scared you away, here's some background about steeks. The actual method starts in the next post after this one. * A STEEK is a trick for slitting an opening (usually a front opening or armholes) into a garment which was knit circularly. 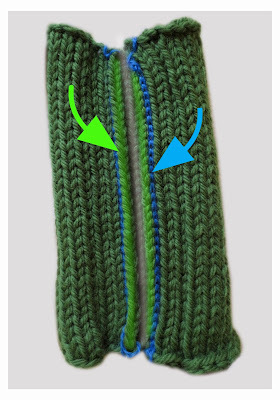 In other words, a sweater might be knit in a tube right to the top, with the front and armhole openings being slit open afterwards with a pair of scissors. 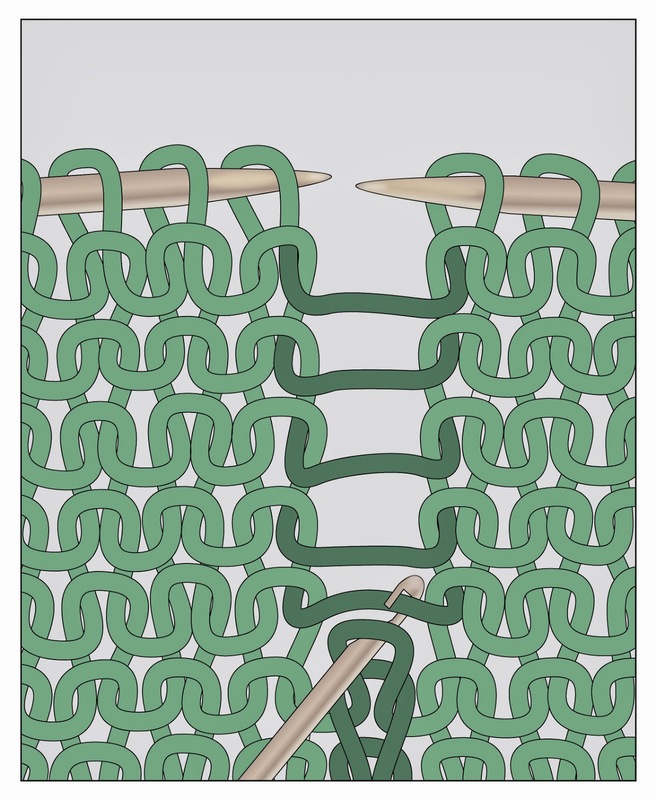 As you can imagine, the main trick with a steek is to prevent the knitting adjoining the cut from coming loose, while at the same time hiding the cut ends forever. 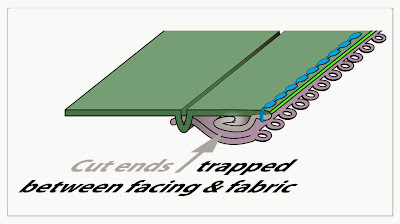 In the trick to be shown in the next post, these important functions are performed by a strip of fabric added alongside the steek-cut, a strip called a FACING. 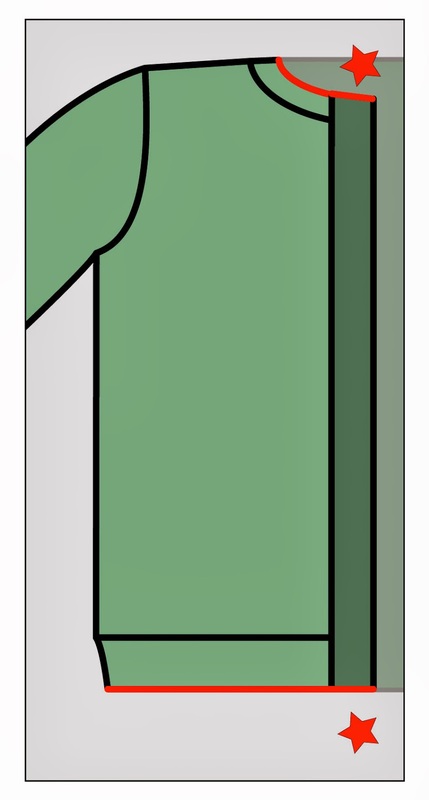 * A FACING is a LINING along a VERTICAL opening. 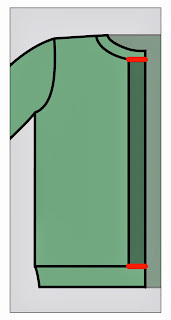 In this series of posts, we're assuming a facing on the inside of the front band. 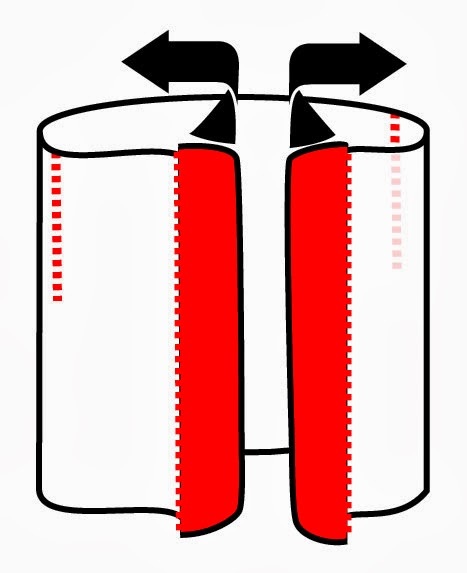 The illustrations shows the inside edges of a steeked garment turned outward, showing the facing (in red) which runs up both inside edges of the steek. As stated above, this facing is the part which prevents the knitting from unraveling along the cut steek line, while also hiding the cut edges of the steek-cut. Why would any sane person take a scissors to a project as labor-intensive as a hand-made sweater? 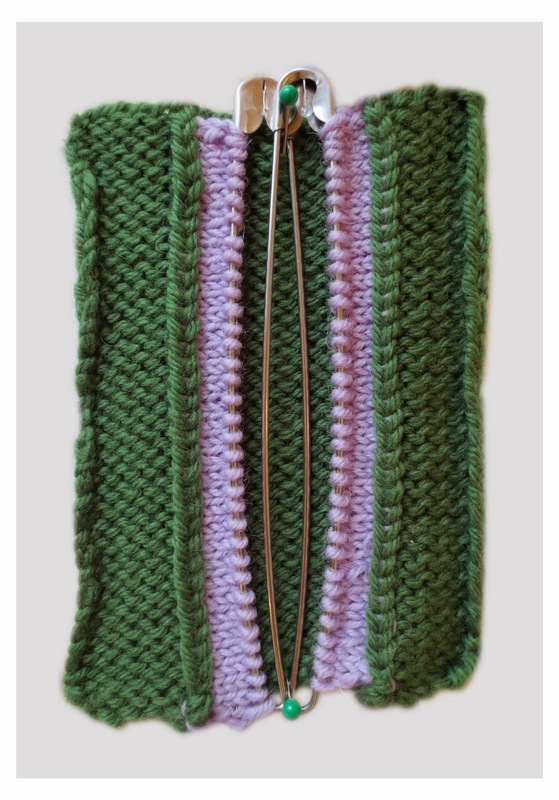 Why not just knit pieces in the first place? 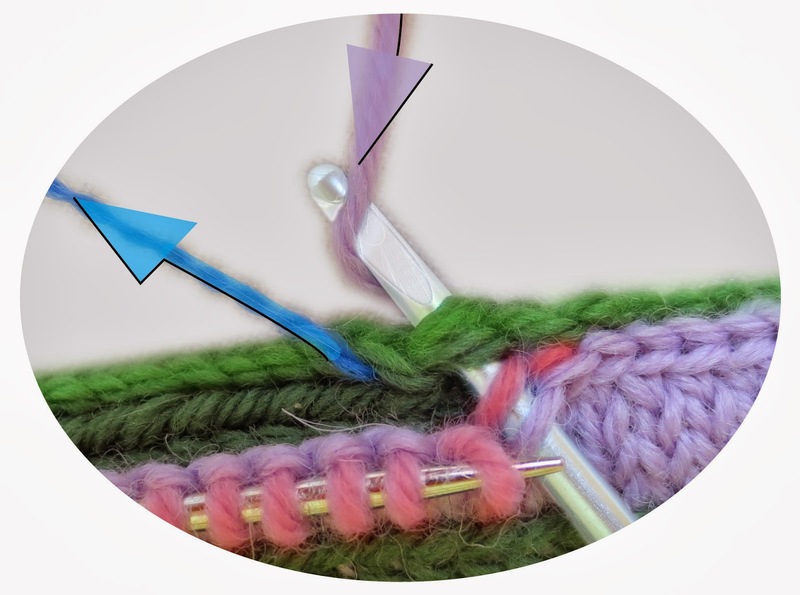 Steeking is a traditional method, and the old-time knitters were no fools: they couldn't go out and buy sweaters at the mall. They had to have had good reason for everything they did. In fact, there are several good reasons to steek. 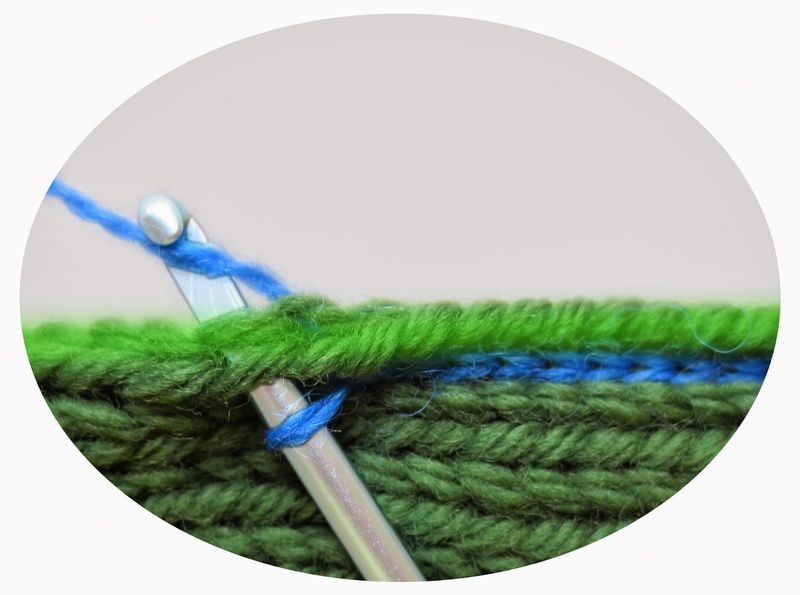 Knitting on circular needles (making a tube) means you never have to purl. 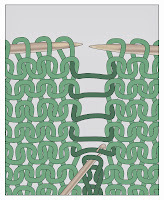 So, if your flat knitting "rows out," working a tube will solve that issue. Stranded color knitting and circular knitting go together really well, also. 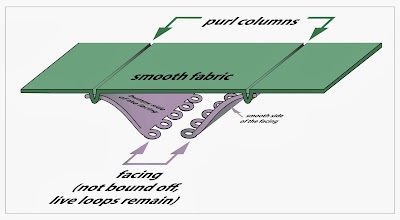 You're always working on the front face of the fabric: easy to see the pretty patterns developing correctly. 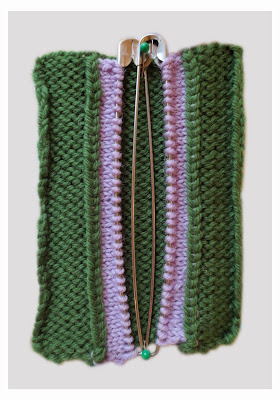 Further, you never have to purl back in stranded knitting, and stranded purling is worth avoiding. 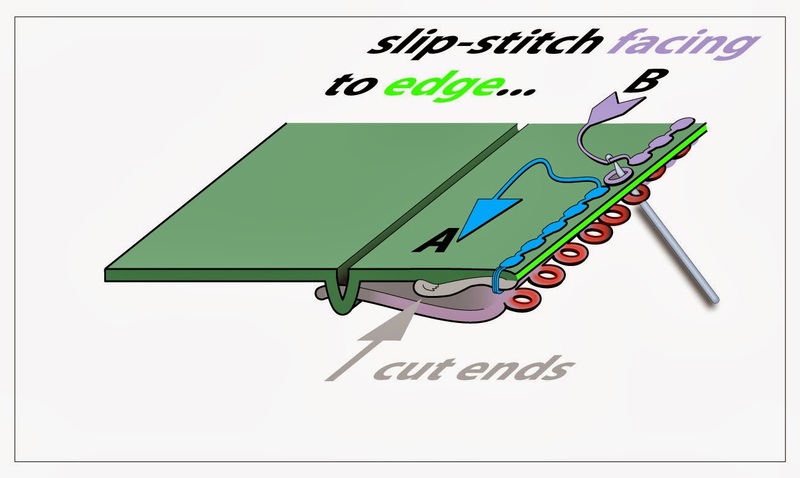 While steeking has many advantages, there are disadvantages, too. In the comments, reader Uehltje points out that cutting is permanent. While there are other ways to restyle a poorly-fitting garment, it is unquestionably true that you cannot restyle a steeked garment by pulling out the yarn and re-knitting it. Another disadvantage is that any steek, no matter how cleverly constructed, is going to be bulkier than an ordinary knit edge. 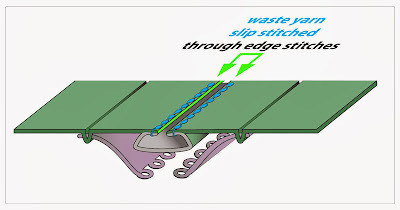 This is because the cut ends of the yarn simply must go somewhere, and there's no place for them to go other than the vicinity of the cut edge itself. 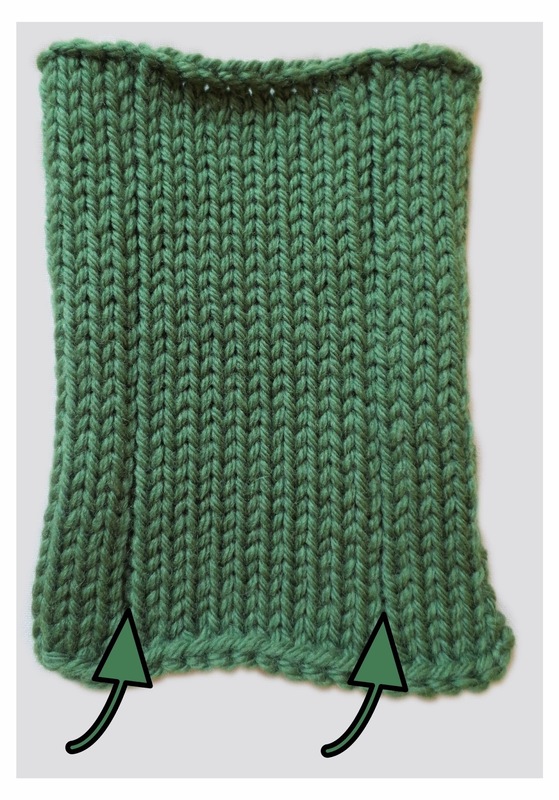 Further, some steeked sweaters are going to wind up bulkier than others. 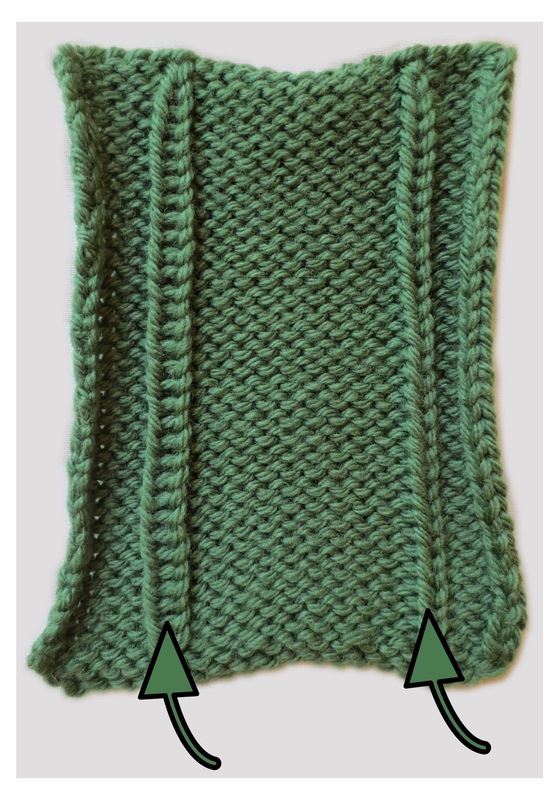 Specifically, a faced steek on a one color garment is going to be less bulky than on two-color knitting. 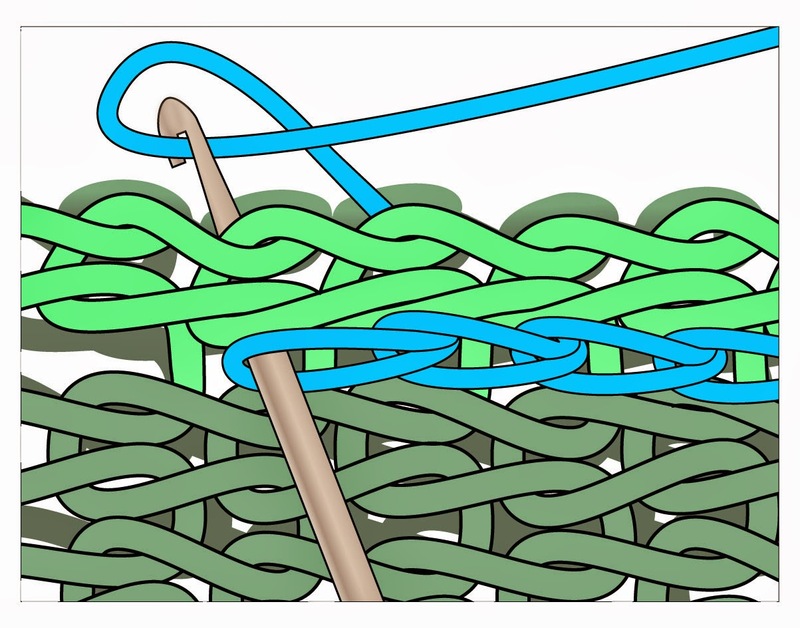 This is because, in stranded knitting, two strands have to be hidden for each row knit (one strand of each color in that row), whereas only one end has to be hidden per row in a one-color garment. 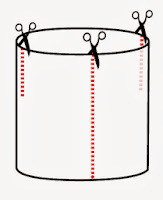 While some bulk at the front opening of a garment might not be too troublesome, an armhole steek puts bulk in the underarm area, an uncomfortable drawback with no really good solution. 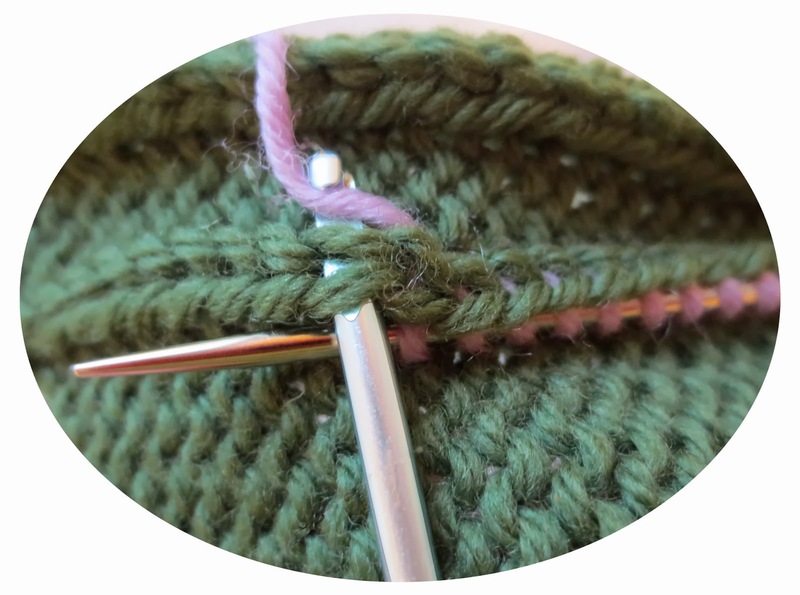 Because of the bulk issue, it's best to try out a steek in the yarn you want to use for the garment, before knitting an entire garment and then discovering the steek is too bulky for your taste. 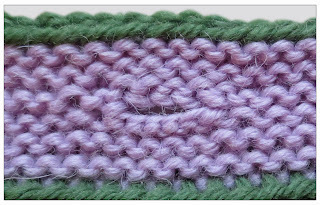 The next post is a tutorial showing the steek worked up on just such a swatch. Steeks are traditional to knitting cultures where wool is used, most famously northern climates, such as Norway. The reason is twofold. 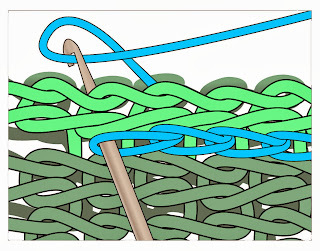 First, at that time and place, almost all yarn was wool, so when this technique was invented, wool was it. Second, wool actually works best for this trick, and by "wool," I mean plain ordinary non-superwash sheep's wool. This is because wool is, well, woolly. 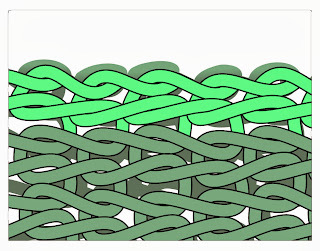 Each strand is essentially a stack of scales. 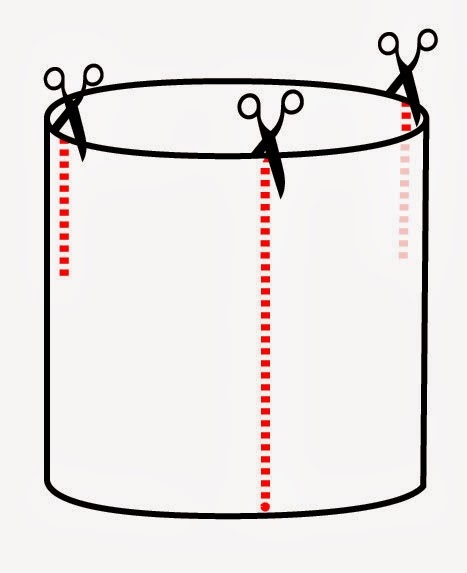 When bumped or rubbed, you could see how such scales would hook together. 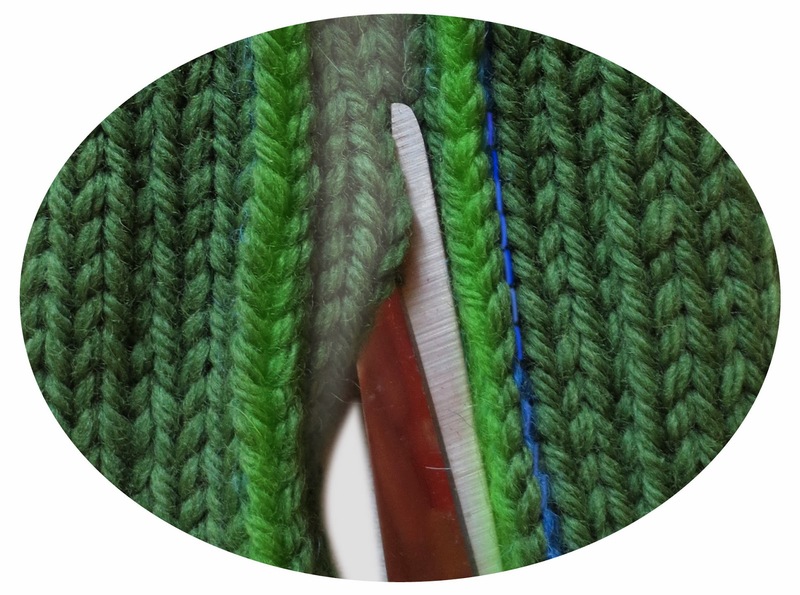 Contrast this to polyester, acrylic and all other oil-based yarns: oil is slippery, and so are its babies. 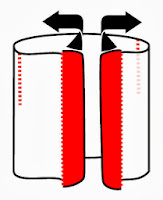 Further, oil-based fiber is extruded (squirted out) through shower-nozzle type devices, in a single smooth scale-less strand. Even if artificially crimped, as some newer synthetic yarns are, this stuff is slick at the most fundamental level. 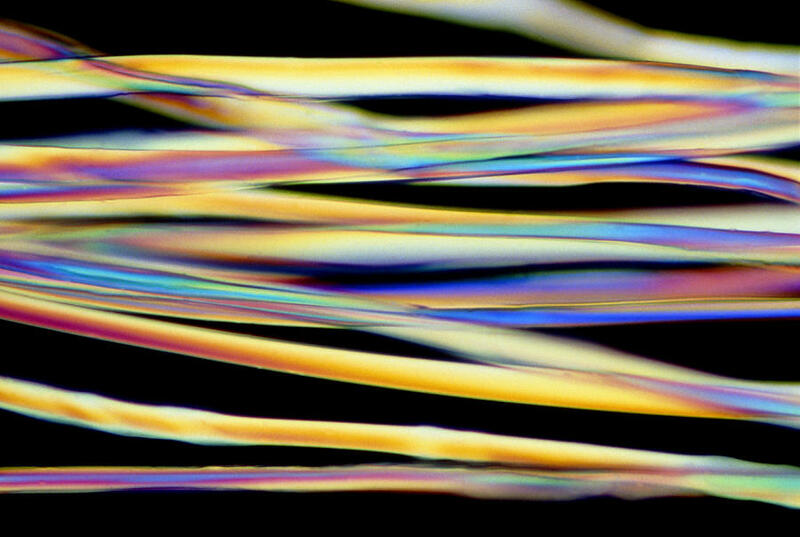 Silk is just as slippery as oil-based yarns, being also completely scale-less. 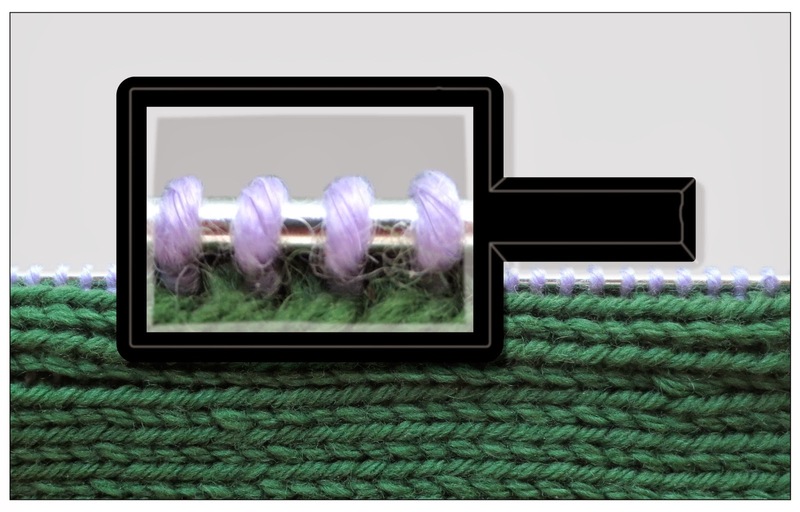 Further, just like extruded oil-based yarn, silk, too, is an extruded fiber--it's just that a silkworm is doing the extruding, not a machine. Plant-derived yarns, such as cotton and linen aren't as smooth as silk and oil-based yarns, because they do have growth rings, twists and other natural irregularities. However, these don't compare to the irregular scales of sheep's wool, so these yarns, too, are slippery. 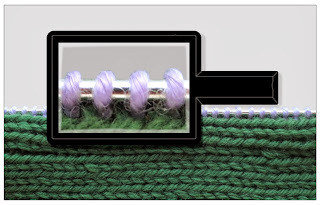 Bottom line: if you're planning to steek, the inherent grabbiness of ordinary sheep's wool is your ally in the fight against unraveling, whereas the inherent slippery-ness of the other fibers would be one more thing to fight against: if you haven't clicked any other link, click this one to check out a side-by-side close-up photo of the various fibers. 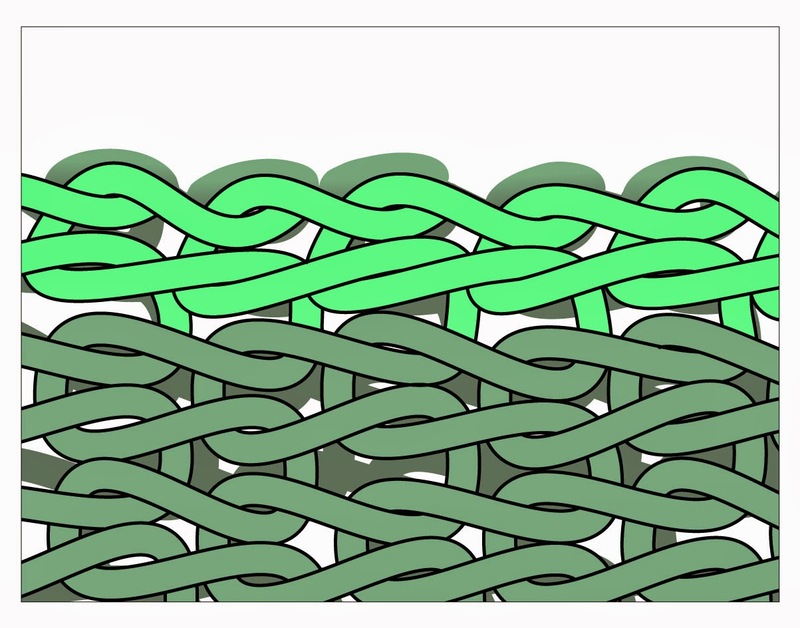 The TECH experimental method shown in the next post is based on the crocheted slip stitch. The finished product includes a facing which hides the cut edges, and prevents any stress being transmitted to the fragile cut edge. 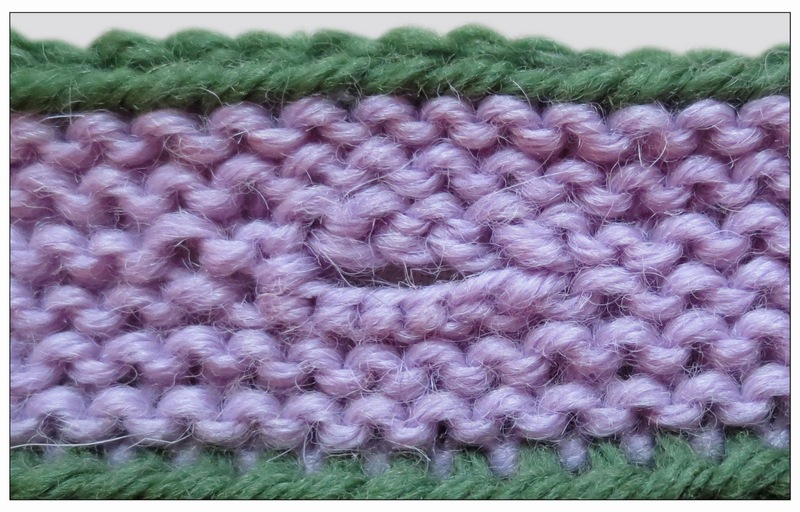 The next post is a tutorial of the new method, as worked on a swatch. See you then! 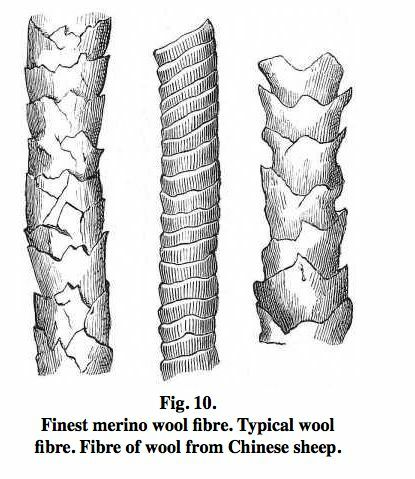 ** The illustration of wool fibers is from the copyright-free book "The Chemistry of Hat Manufacturing" by Watson Smith, available through Project Gutenberg.